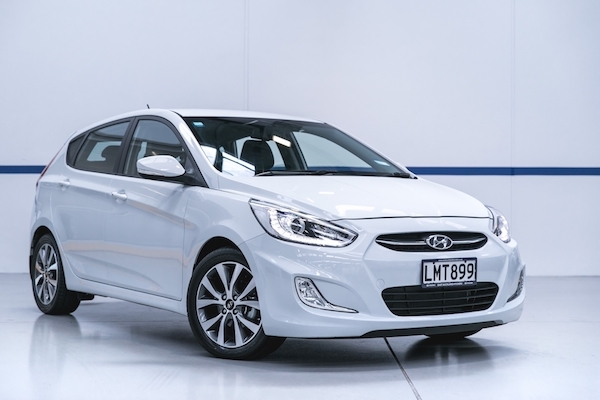 A strong rental push lifts the Hyundai Accent into the NZ Top 10 for the first time since BSCB started following this market monthly in 2011. New vehicle sales in New Zealand mark a pause in November at -1.6% to 14.359 registrations, with passenger cars (3.571) down 4.1%, SUVs (5.953) down 8.3% but light commercials (4.156) up 13.1%. The year-to-date volume is up 1.4% to a record 150.393 units, with passenger cars down 10% to 37.419, SUVs up 7.8% to 62.710 and light commercials up 4.1% to 43.055. The brands podium is entirely in negative, led by Toyota (-4%) ahead of Ford (-7%) and Holden (-6%) but just below Mitsubishi (+6%) and most strikingly Hyundai (+36%) post very satisfying gains. Kia (+21%), Volkswagen (+14%), Nissan (+10%) and Suzuki (+2%) also advance in the remainder of the Top 10 while further down Haval (+80%), Jeep (+21%) and Skoda (+12%) shine. Model-wise, the Ford Ranger (+14%) and Toyota Hilux (+20%) are back in charge, knocking the Toyota Corolla (-9%) and RAV4 (-21%) down to #3 and #4 respectively. The Nissan Navara (+48%), Mitsubishi Triton (+44%), Holden Colorado (+32%) and Kia Sportage (+31%) also show tremendous momentous while the Hyundai Accent (#9) breaks into the Kiwi Top 10 for the first time in BSCB records thanks to rental accounting for a whopping 97% of its November sales. Full November 2018 Top 65 All-brands and Top 30 models below.